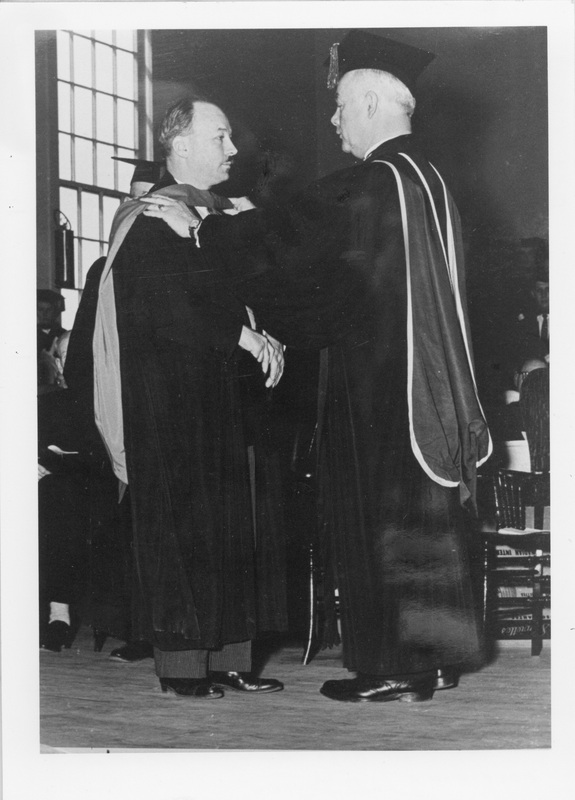 Item is a photograph of Dr. Ross Flemington, President of Mount Allison University, conferring an L.L.D. degree on Hon. Henry Hicks at a Mount Allison convocation ceremony in 1956.